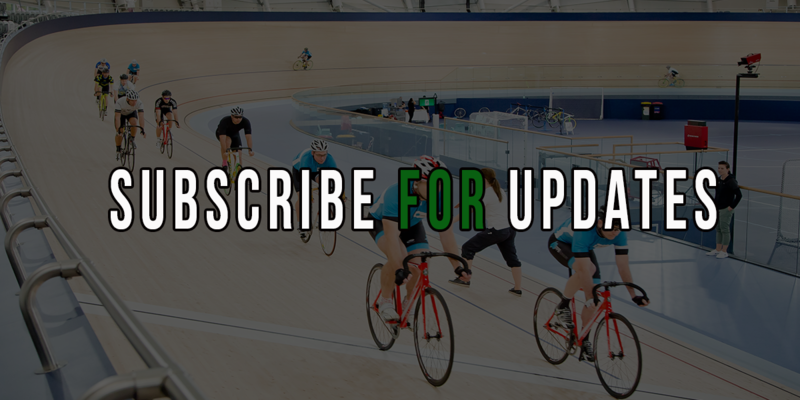 In Kerrie’s FREE video on ‘How to Ride Faster’, she talks about pedalling efficiency, and how to instantly improve it. In addition to pedalling efficiency, aerodynamic efficiency is going to give you further advantages in riding faster with less effort. Aerodynamic Efficiency = STREAMLINED RIDER who CUTS THROUGH AIR SMOOTHLY AND TRAVELS FASTER WITH LESS EFFORT. A blunt or irregular object such as a helmet, disturbs the air flowing around it, forcing the air to separate from the object's surface. Low pressure regions from behind the object result in a pressure drag against the object. With high pressure in the front, and low pressure behind, the cyclist is literally being pulled backwards. Streamlined bicycle designs and body positions help the air close more smoothly around these bodies and reduce pressure drag (see the example below). Direct friction occurs when wind comes into contact with the outer surface of the rider and the bicycle, this is why we wear speed suits - they counteract friction! 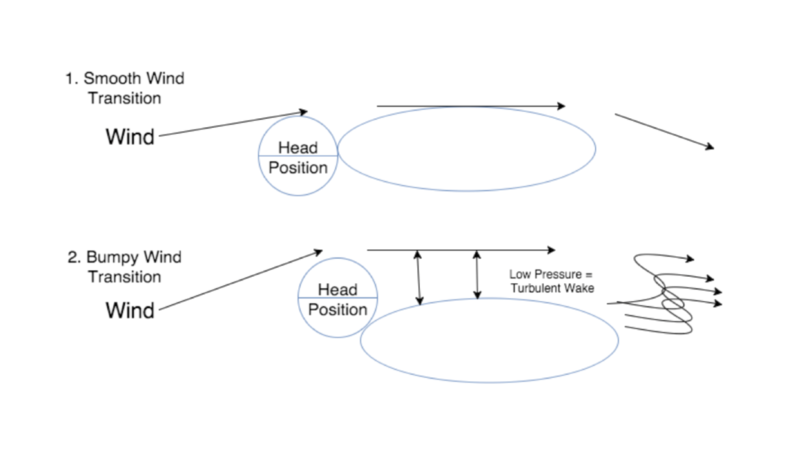 In the example below, we are demonstrating how a high head position (relative to back and torso position) creates turbulence (resulting in drag). We’ve included it to demonstrate that if you can simply make small changes in your body position whilst riding at speed, you’ll have less drag and be able to cut through the air more smoothly which will mean you travel faster, with the same or less effort. Getting yourself comfortable and familiar with aerodynamic body positions is important, particularly if you’re talking about shaving milliseconds off Personal Best times, and getting over the finish line first. Whilst we’ve come a long way in the development and technologies associated with bike equipment, there is not a huge amount more that can be achieved in advancements of equipment (without stepping outside the UCI legal parameters of bike set up). Well at least, not compared to finding and maintaining the most aerodynamic body position without affecting your ability to maintain force and efficiency throughout your event. We are learning a lot more about aerodynamics as the latest advancements in science and biomechanics become available. Aerodynamics becomes more important with more speed. For example, Aerodynamics in a standing start isn’t as important as finding the strongest and most powerful positions through those first 10 plus pedal strokes as you approach your maximum speed. Finding the most aerodynamic position and maintaining it is important AT MAXIMUM SPEED or at the speed you want to MAINTAIN FOR THE DURATION OF YOUR EVENT. Whilst equipment is important, you need to maintain an aerodynamic position for the equipment to work. For example, if you wear a tear drop helmet and turn your head during an event you may be creating more drag than would usually be occurring if you rode with a standard helmet. If you ride the teardrop, keep your head in the position that allows your helmet to achieve the least drag. Equipment is one thing, body position is another - learn the best aerodynamic position for you and train to adapt to this position. This can take time and adaptation to achieve as you don’t want to sacrifice your ability to produce maximum power and speed for aerodynamics - instead you want to compliment it! Did you find this blog on Aerodynamics helpful? Leave us a comment below. We'd love to hear from you.